Control the Kamoer X4 with WiFi through your PC, iPhone, or Android Device to accurately dose and maintain your tanks levels. Dose Calcium, Alkalinity, Magnesium, and many other liquid elements along with carbon based liquids. 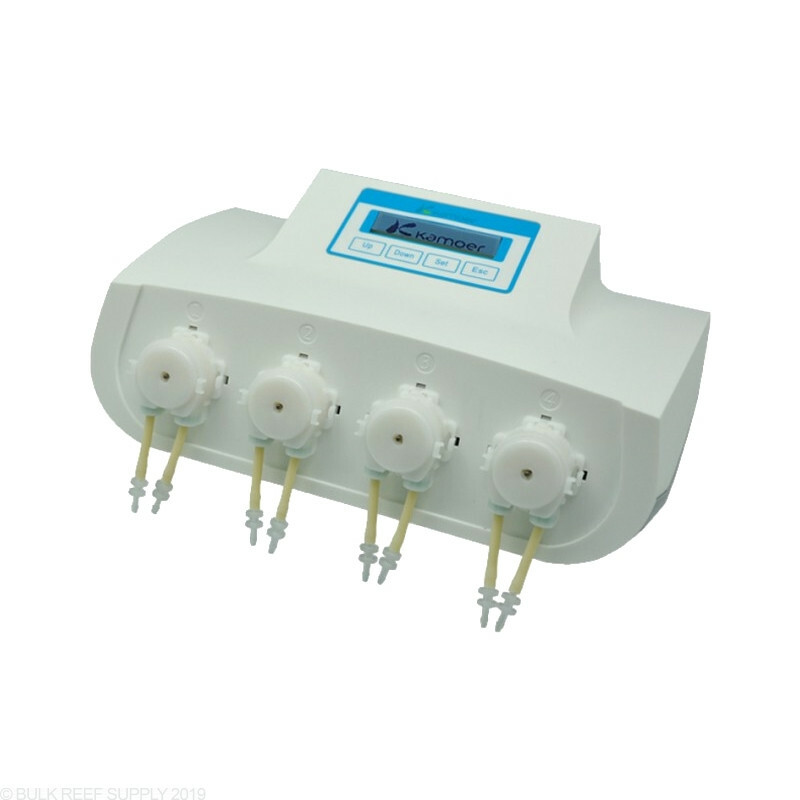 The level of control with the X4 doser that can be obtained, makes it by far one of the best dosing systems on the market today. Connecting the Kamoer X4 Dosing System to your WiFi and controlling it through your phone or PC lets you unlock every function. Using your homes WiFi Signal you can set the dosing start and stop times, along with the individual days you would want the X4 to dose. If you want to dose 5 times a day between 10am and 6pm you can do that, if you want to dose 10mL on Tuesdays and Fridays between 1am and 6am, you can do that too. 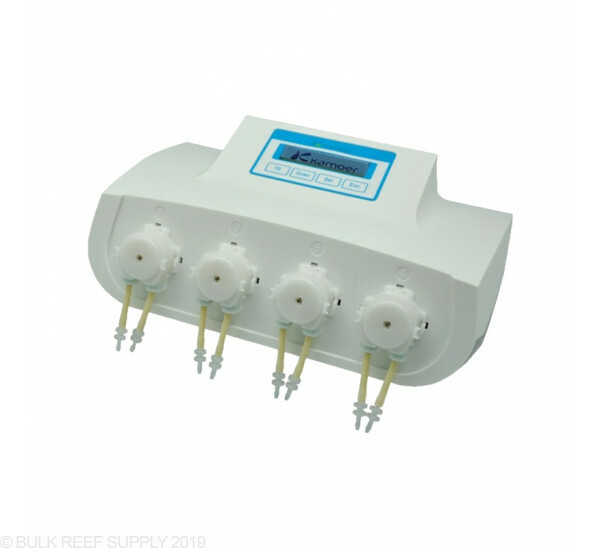 With programmed delay settings between channels to prevent precipitation and chemical interference and inputs for reservoir level monitoring the Kamoer X4 is the industry leading liquid dosing system for Reef Aquariums.